COLUMBUS, GA – Congressman Sanford D. Bishop, Jr. (GA-02), senior member of the House Appropriations Committee and the Subcommittee on Military Construction and Veteran Affairs, as well as Co-Chair of the Military Families Caucus, released the following statement concerning his meeting on Friday with Army officials over recent reports of potential lead exposure at Department of Defense housing units. Also in attendance were representatives from the Offices of Senator Johnny Isakson and Senator David Perdue, as well as from the Office of Congressman Drew Ferguson. 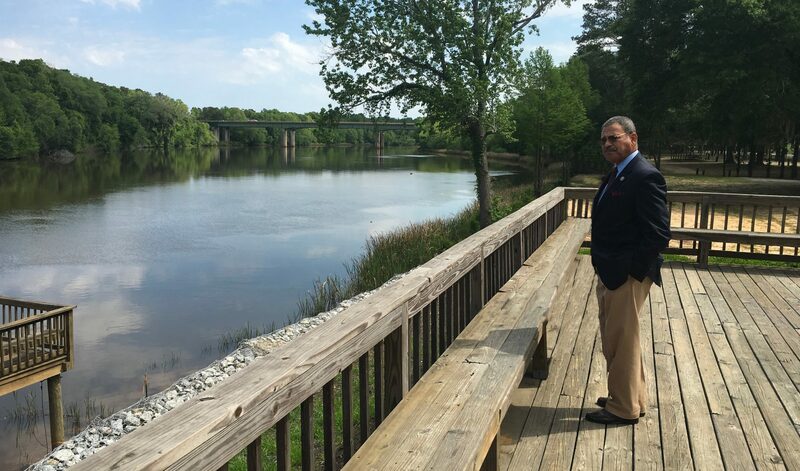 “After the publication of reports concerning potential lead exposure at Department of Defense Housing units, I organized a meeting with Army leadership at Fort Benning to discuss the Army’s plan to address quality of housing for servicemembers and their families. I also took this time to tour the facilities identified in recent reports. The safety and well-being of our servicemembers and military families is of paramount importance, and it is imperative that we work in a bipartisan manner to ensure military members and their families have top-quality housing. “I am encouraged by the Army’s plans to address the situation here at Fort Benning, as well as at many other installations around the country. The Army has committed to conducting testing and repairs on all homes identified as being built before 1978 and potentially having risk of toxic lead exposure. This testing will focus not only on the interior, looking for deteriorating lead paint and dust, but also test for ground and water contamination. The Army has also committed to providing me with regular updates on this situation, and I will remain steadfastly focused on this issue.